Enzyme immunoassay for the quantitative determination of free Ipilimumab (Yervoy®) in serum and plasma. 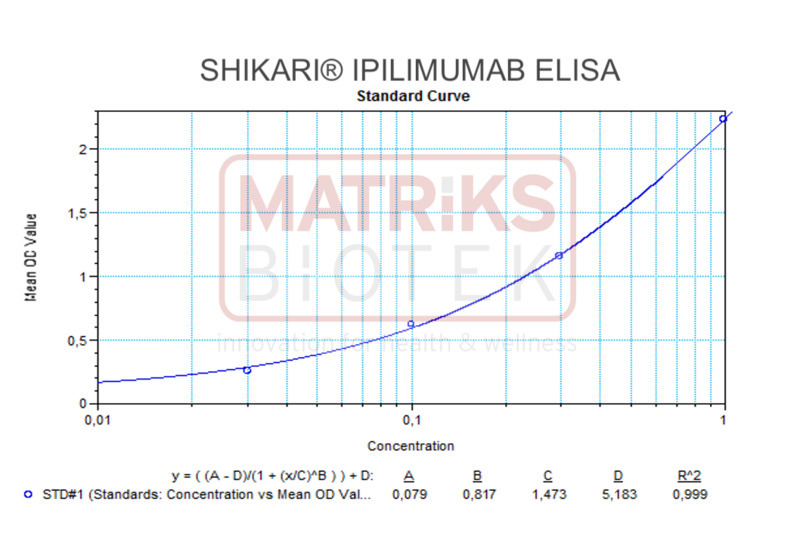 The Matriks Biotek Shikari Q-IPI ELISA has been especially developed for the quantitative analysis of free Ipilimumab in serum and plasma samples. The Matriks Biotek Antibody to Ipilimumab(Yervoy®) Enzyme-Linked-ImmunoSorbentAssay (ELISA) Kit is intended for the qualitative determination of antibodies to Ipilimumab(Yervoy®) in serum and plasma. It is for professional use only.